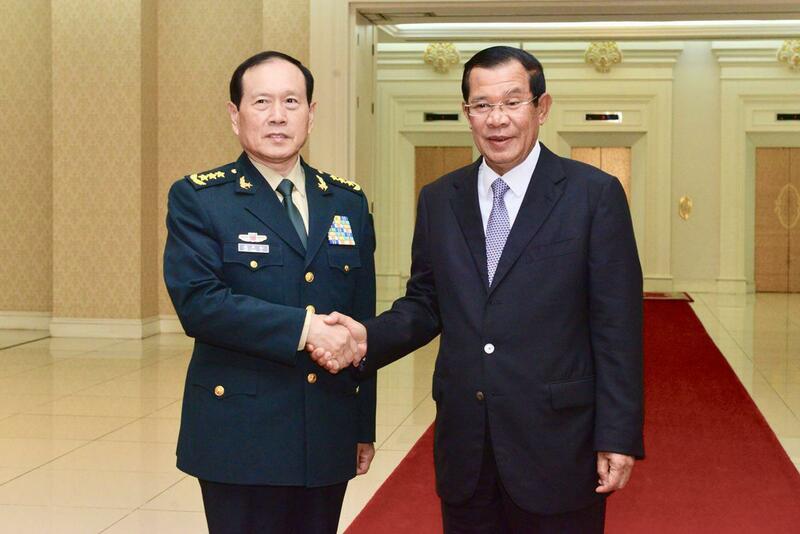 Phnom Penh (FN), June 18 – During a courtesy call on Cambodian Prime Minister Hun Sen on Monday at Peace Palace, Phnom Penh, Chinese Defense Minister Wei Fenghe said that through his visit to Cambodia, agreements that Cambodian Premier and Chinese President Xi Jinping signed in the past will be timely implemented, and that Chinese-Cambodian military ties strengthened. 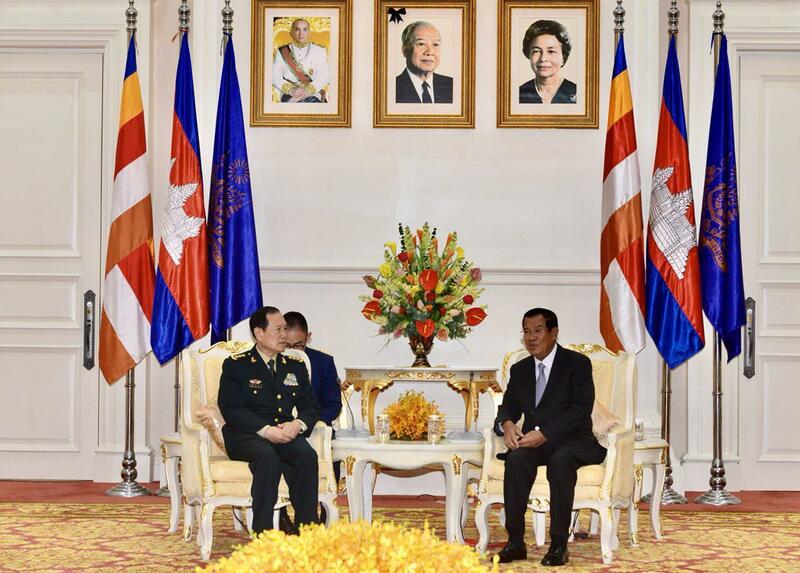 Prime Minister Hun Sen welcomed the visit and urged to accelerate the implementation of the agreements signed in the past. 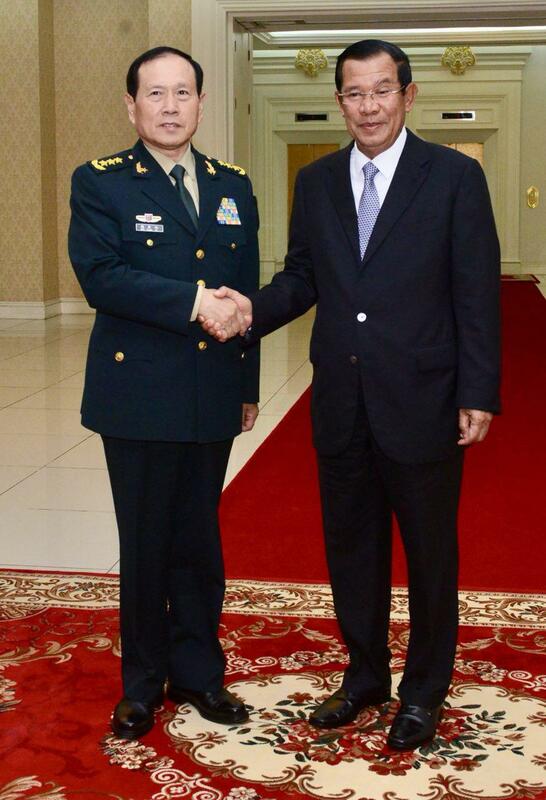 Chinese defense minister highly commended the current development of Cambodia, which is different from the last six years when he first came to Cambodia. 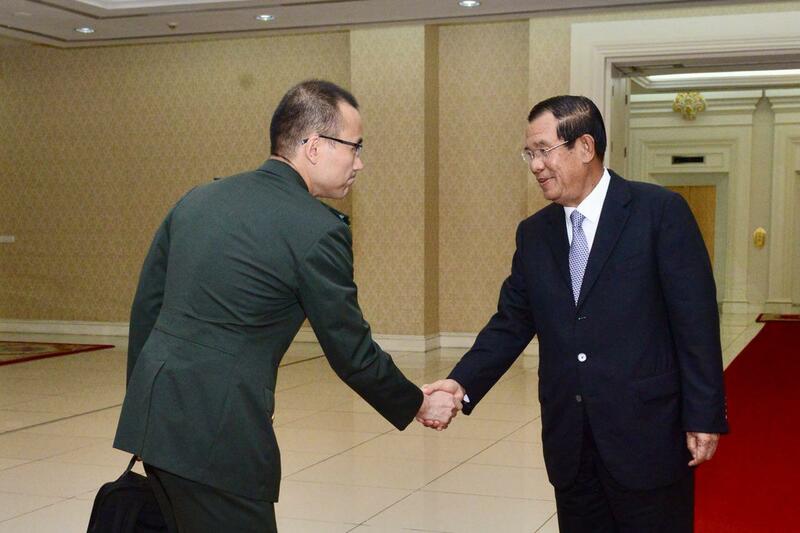 Speaking after a meeting with Chinese Defense Minister Wei Fenghe on Sunday at the Council of Ministers, Cambodian Defense Minister Tea Banh said that Cambodia and China will jointly conduct Golden Dragon Military Exercise in 2019 to deepen ties and mutual understanding of defense of the two countries. 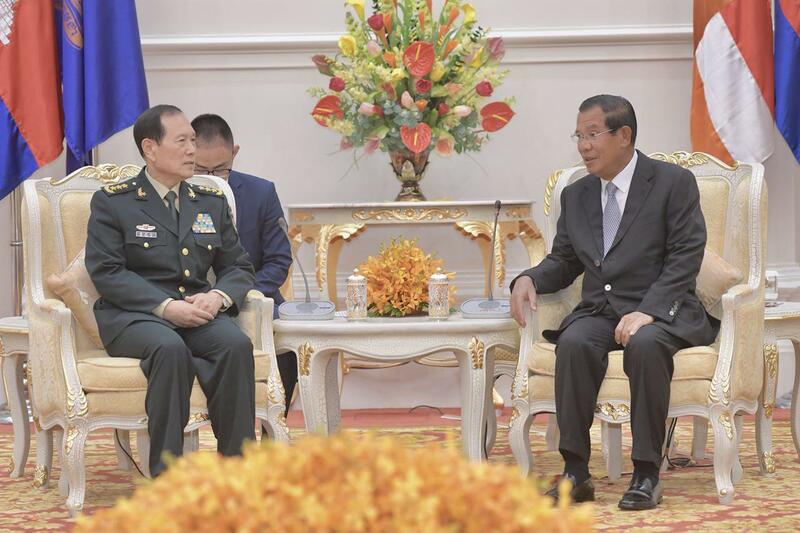 Meanwhile, the Chinese side continued to grant approximately $6 million for Cambodia military sector and offered free health treatment for Cambodian unfortunate people. 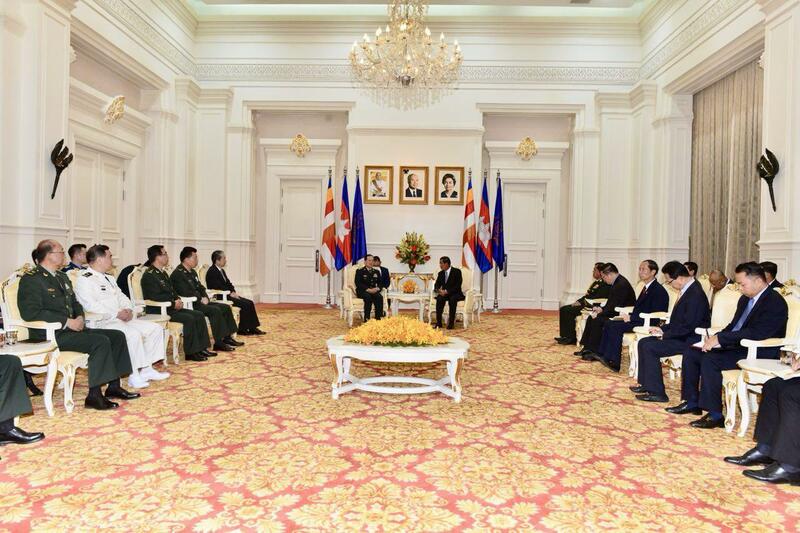 Chinese Defense Minister Wei Fenghe led a delegation for an official visit to Cambodia from 16-20 June 2018.